What Apps Do You Download First on a New Smartphone? This week, ComScore published a report saying that 65.5 percent of smartphone users over the age of 18 will go months without purchasing apps through their respective app stores. That seems like a particularly high considering all the great apps that come out every week, let alone every month. Now, I'm a little atypical. I spend most a lot of my time among three or four smartphones at once, often in three or four separate ecosystems, downloading, updating, and perfecting my selection of smartphone tools at my disposal. I recently made the laborious switch from my old iPhone 5 to my new Nexus 5, and I was surprised to discover which apps I immediately downloaded without a second thought. The first one, sure. It's a pretty boring answer. Twitter, at this point, is almost ubiquitous across all devices—not to mention an absolute necessity for any blogger. My second was Level, an app that essentially acts like a voice of reason through push notifications. "Hey, Darren. You've spent way too much money this week, idiot. Looks like it's just ramen for the foreseeable future!" I'm confident that without it I'd be in a pretty terrible financial situation. 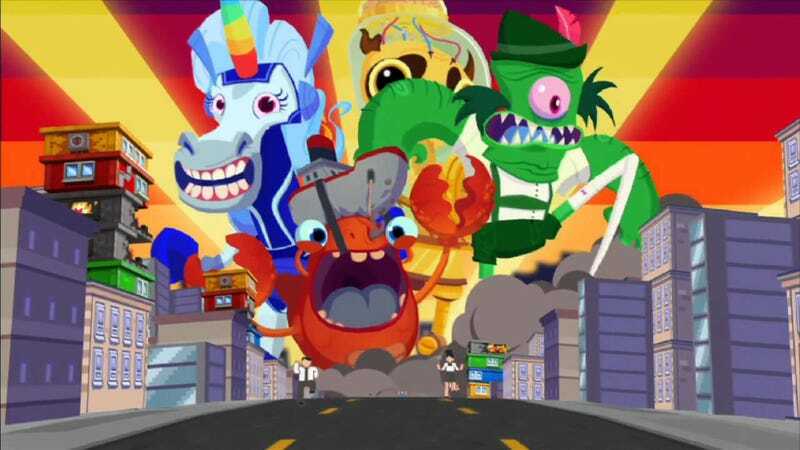 To round it all out is the my gaming addiction of choice, Adult Swim's Super Monster Ate My Condo. This is a must-have because it preys on my love of Kaiju and my affection for Adult Swim's irrational humor. So what about you? What are your must-haves, go-tos, and download obsessions that follow you from device to device? Bring 'em on, my phone could always use a few more apps.